How Valuable Is a Good Application Essay? Whether you are writing an NUS scholarship essay or applying to a college through UCAS your personal statement is one of the most important parts of your application. Your personal statement is sometimes known as an admissions essay, statement of purpose or an assortment of other names. It needs to be written to a very high standard if you are to succeed at finding a place. Many students will turn to our personal statement writing service due to the difficulties in writing a good statement. Many college and university places are oversubscribed meaning that you have to compete against many others to win a place. Often you will find that there is little to choose between the applicants when it comes down to their grades. A well written HKU personal statement, therefore, could be just what you need for the admissions committee to notice you. Writing a personal statement for undergraduate degree courses or higher programs is however not easy. Most students submit something that is quite frankly boring and lacking in inspiration. You must be able to wake the reader and get their attention to make them remember you if you are to be positively selected over the others applying. Our personal statement writer service has been supporting students applying for university and college for many years. We are able to provide you with all of the help and advice that you need to make your application a success no matter what subject you are applying within or where you are in your education. What Types of Personal Statement Are There? A personal statement that answers a specific prompt or question. A general personal statement that describes who you are with little or no restriction on what you write. You may also find that some universities, especially some of the more popular ones, will provide you with a whole series of questions around which to write your statements. Many of these questions, however, are very open-ended and allow you a free hand with what you write. You must, however, ensure that you do actually answer the question that is being used as a prompt for your essay. What is it that makes you unique and different to everyone else? What has influenced the decisions that you have made throughout your life? Have you had to overcome any particular hardships within your life? Why are you interested in this specific field of study? What started your interest? What have you already discovered within your area of interest? How have you developed your interests further? Have you done more research? Completed work experience? Talked with or shadowed people in that field? If you have completed any work experience, what skills have you developed? How has it changed or reinforced your feelings about this field of study? Where do you expect your career to take you beyond your education? Do you have any specific skills that will make you an excellent student in this specific field? What transferable skills do you have that will benefit you? Such as leadership or communication. What makes you a stronger applicant than all of the others applying? Are there any issues with your academic records such as gaps in your studies or poor results? Why should the committee choose you? Personal statement writing is something that could go on forever, after all, there is probably a huge amount of information that you could provide the questions that are listed above. The problem is however that the admissions committee will only have a limited time in which to make their assessment of you. They, therefore, are not going to be able to read a 10-page report that fully covers all of your positive points. Nor are you going to be able to show yourself in a positive light in a 5-line paragraph. Each university or admissions body will usually offer you very specific guidance as to how long your statement needs to be. Some, however, do leave it completely open. Especially when you are applying at later stages in your education. Generally, in these situations, one to two pages will be considered ideal. To provide an idea as to what is required however you can consider the following: the Universities and Colleges Admissions Service (UCAS) in the UK which handles the majority of applications in the country expects you to write your statement within 4,000 characters or 47 lines of text; the Common Application which allows you to apply to many of the US colleges requires you write one essay from a choice of 7 prompts. The essay should be from 250 to 650 words in length. What Must Be Covered By Your Personal Statement? Of course no matter what the specific prompt may be that you are being asked to answer there will always be specific things that they are looking to find answers to. Give the reader an understanding of what it was that got you interested in this specific field and how those interests have developed over time. Also, explain any steps you have to take to pursue this interest. Why are you the right person for this course? Research the program and match yourself carefully to their expectations so that you are able to show them that you just what they are looking for in a student. What have you done beyond just school work? Have you read extensively in your field? Have you followed a specific journal? Try to find something that no one else has done so that your statement will stand out. Why are your experiences relevant? From extracurricular activities to volunteering, explain what you have done and why those experiences make you a better candidate for the course you are applying to. How are your experiences relevant to your career path? You need to show that you are thinking beyond just your education. Show the skills that you have acquired are relevant to your career and not just your education. What transferable skills do you have? Often these are listed in the expectations of a program such as good problem solving or team working. Ensure that you provide evidence to show that you have the specific skills that they are searching for. Why are those skills so important to you? Take your strongest skills and expand on what you have to offer. Give examples and show how you have actually used those skills and what you have achieved through them. You can also show how you intend to further develop those skills. Are you a critical thinker? Are you able to analyze a situation and think independently? Universities value these skills so it is vital that you can demonstrate them within your writing. Where are you going long term? While not everyone at this stage in their life has a firm ambition for their career the admissions committee will want to see that you have some form of ambition and direction that is driving your choices. Are you enthusiastic about this course? Talk positively about yourself and show your enthusiasm for studying in this field. How Should You Start Writing Your Personal Statement? Look at samples: whether you are writing a cybersecurity personal statement or want to get into nursing you will find many examples online. Read them critically to get an idea of what should be written on your own and the style of writing that should be adopted. Brainstorm: use the points above to get down everything about you that may be relevant to the application that you are making. Start writing early: you need to begin getting your ideas down at an early stage and allow yourself plenty of time to generate those attention-grabbing ideas that will form the backbone of your statement. Talk to others about what your strengths are getting their ideas down also. Be honest, however, don’t use anything that is blatantly untrue about you. Review and review again. Look at every word that you have used to see if it is the most appropriate. Does your flow draw the reader through your work, are your transitions effective? Revisit the opening line: your opening line is your hook and must effectively draw the reader into your story. Without an effective opening, the reader may not even remember that they have read your statement. Get others opinions: often you may have several versions of your opening line and other parts of your writing. Ask people you trust as to which they feel is the most effective. Be yourself: this is your personal statement. Ensure that it reflects who you are and your own hopes and dreams for the future. Keep focused on what your statement is being written for. What Should You Avoid When Writing Your Personal Statement? The honest truth that most working on admission committees will tell you is that most applicants fail to distinguish themselves. They write almost the same essay with the same issues and it could be about anyone. Guess what? All of those essays end up straight on the no thanks pile. Start looking at the worst examples of personal statements to see what clichés are being used. This goes far further than the “Ever since I was a young child I have been interested in…” or the nursing school applicant that wants to “help people”. It also includes all of the following which makes for very poor openings or content for your personal statement: definitions direct from the dictionary, quotations that are overused, “let me tell you a story” and overused metaphors, sound effects, shock horror attempts at attention-grabbing. Don’t use language that you simply would never use in everyday speech. There is nothing clever about replacing every other word in your statement with a 12 syllable word selected from your thesaurus. The other side of this is that you should also not use slang or obscenity within your writing. Don’t simply repeat information that you have already provided them with other parts of your application. Your statement is not simply a more wordy version of your resume. It needs to provide a unique insight into who you are. Not talking about yourself: this is a personal statement and that means it is about you. You should not be focusing on the university that you are applying to or the program itself. They want to learn about you. Talking passively: tell an engaging story and fill it with action words that will show your enthusiasm for the program that you intend to follow. Failing to check your work: your writing is often going to form their first opinion. You do not want that opinion to be that you are a sloppy writer or that you don’t care enough about the application to check your writing is error-free. Get a storyline: you need something that will hold your statement together and provide you with the flow. This does not have to be a trip down the Amazon or the year out that you spent helping starving refugees in some obscure war-torn country; unless of course, you have! It can be as simple as something that you have achieved in class that will provide with a theme for your writing. Start by outlining your statement: an outline allows you to see how the different ideas that you have come up with will fit within your theme and how they will flow together. It is far easier to adjust how your outline looks that having to go back and rewrite several times. Be formal and positive in your writing. Avoid all passive phrases and ensure that your writing is concise and to the point. Your word limit is limited and you must ensure that you are able to make every word that you use count. Give evidence: anyone can say that they are for instance a great problem solver. If you do not substantiate your claim however it is only that; an empty claim. You must provide an example of how you used that skill. What problem did you tackle, how did you go about it, what was the outcome? Ensure that the examples that you use are totally relevant to the program you are applying to. Hook them in from the start with your opening. Use your anecdotal storyline to help you form that attention-grabbing opening line. Simply writing that you are applying to study literature with them or any number of mind-numbing clichés is not going to make you stand out or make them want to read on. Conclude your statement: far too many just finish their statement in midair. Make a lasting impression with your closing lines and clearly show your determination to succeed in this field and your motivations for doing so. It takes a long time to write a personal statement: identifying what the program expects, matching yourself to that program and then writing something that is going to get you noticed takes time. Many students leave this task to the last minute and then realize that they simply can’t do everything. You need excellent writing skills and great English: not every student has the perfect skills that will be required to ensure that their writing is of a standard that is going to help them to stand out. Not understanding what the program really wants: often what you will read may be fairly general while some programs will provide you with page after page of in-depth information. Taking what they provide and identifying what is truly important to them is not always simple. Why Do You Need to Work with Our Professional Personal Statement Writers? If you want to be sure of winning the place that you really want then your application must be very special. Most applicants have no experience of writing personal statements and rarely have the time or the skill needed to reach the standard that is going to ensure that their application will be memorable. Using our personal statement writers provides you with access to someone that fully understands the admission process and precisely what the admissions committee will be looking for. Your personal statement writer will have the experience of writing many successful applications in the past. 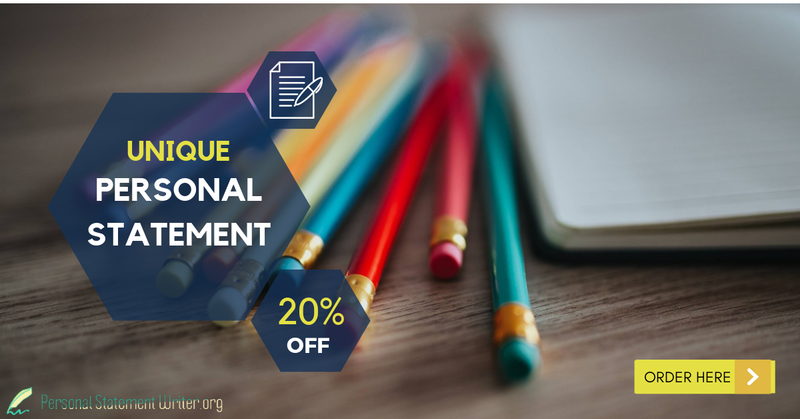 They will be able to work directly with you to draw out the specific information that will be required to personalize your writing and match it carefully to the expectations of the program you are applying to. With a large pool of experts to call from we are able to offer you a proven personal statement writer that will be fully qualified in your area of application. They will hold a postgraduate degree that is relevant to your field as well as having as many as 25 years or more experience. They have native level English writing skills and the ability to use those skills to write something that is going to get you noticed. How Can You Order Our Professional Personal Statement Writing Service? Complete all sections of the order form: we only ask for the minimal amount of information when you make your order. Ensure that you provide us with the details of what you require as well as the deadline within which you will require your order to be completed. The information that is provided through the form as well as anything that is discussed or generated is considered confidential and not shared with any other party. Make your payment: our pricing structure is totally open and displayed on our site for all to see. We offer high-quality support at some of the most affordable rates that you will find anywhere online. Payments are using secure methods and made through either your credit card or by PayPal. Discuss your personal statement with our expert: we will assign the most appropriately qualified and experienced of our experts to work with you. 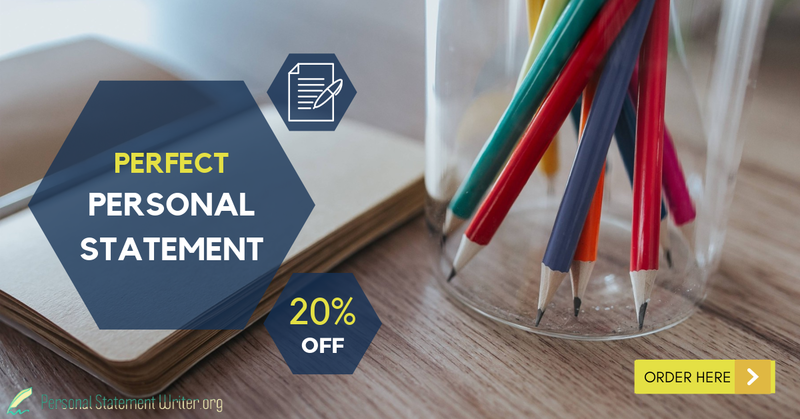 Our personal statement writers will work directly with you to allow them to draw out the precise skills and experiences and other information that will be required to craft an impressive personal statement. Request any changes: once the initial draft of your personal statement is available you are encouraged to check it carefully for accuracy and suitability. Any changes that you feel may be required can be discussed directly with your writer. We allow for unlimited revisions and will always aim to provide you with precisely the statement that you are looking for. Take delivery of your finished personal statement. All writing is provided after careful proofreading and plagiarism checking to ensure that it is totally unique and free from any possible writing issues. It will be delivered to you on time and in the format that you request. Easy to use ordering process that is available from anywhere in the world 24/7. 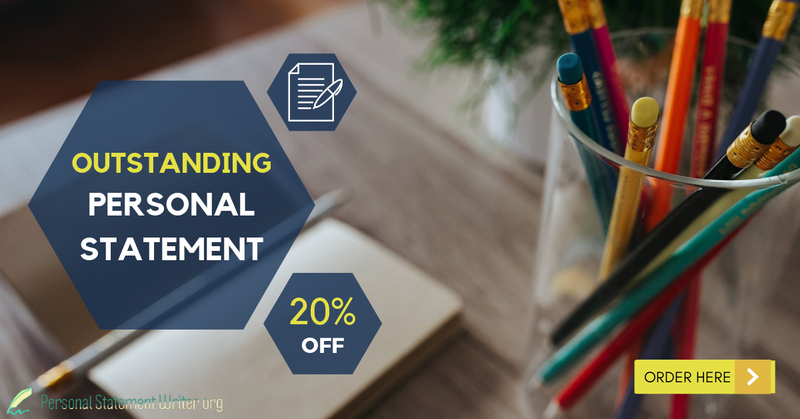 Highly affordable pricing for personal statement writing that you will find hard to better for the same level of quality that our professional services provide to you. Your work is turned around rapidly no matter how tight your chosen deadline. We always guarantee to deliver to you on time. Confidentiality assured: we will never share the content of your statement or your personal details with any other body. Friendly support accessible at any time night or day. You can talk with our knowledgeable staff through email, online chat or by telephone. Unlimited revisions to your statement: we will make any and all changes that you require until you are confident that the statement is perfect for submission. 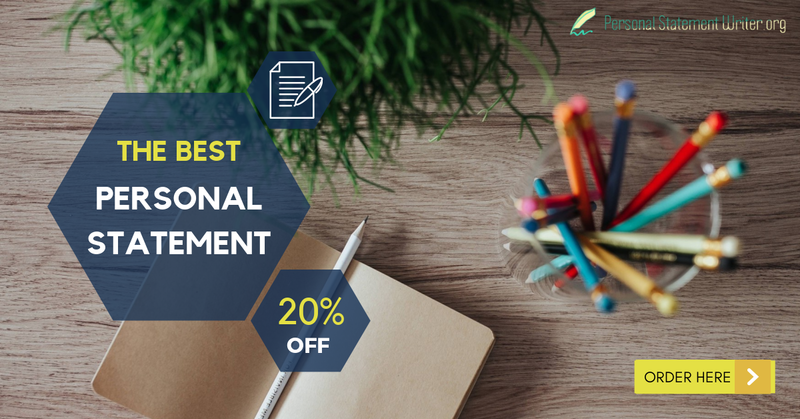 Highly qualified professional personal statement writers: your personal statement writer will hold a postgraduate degree that is highly relevant to your area of application. Certified proofreading: you can make the perfect first impression with your personal statement as we will ensure it is error free. Original writing only: our staff know that your writing will be checked for copying and we also provide you with a free plagiarism report on every order. Satisfaction with your personal statement writing is guaranteed: if we cannot satisfy you or fix any issue that you have your money is refunded. Do not take risks with your application: get in touch with our professional and effective personal statement writing services here today and get a real edge over the competition with our help.